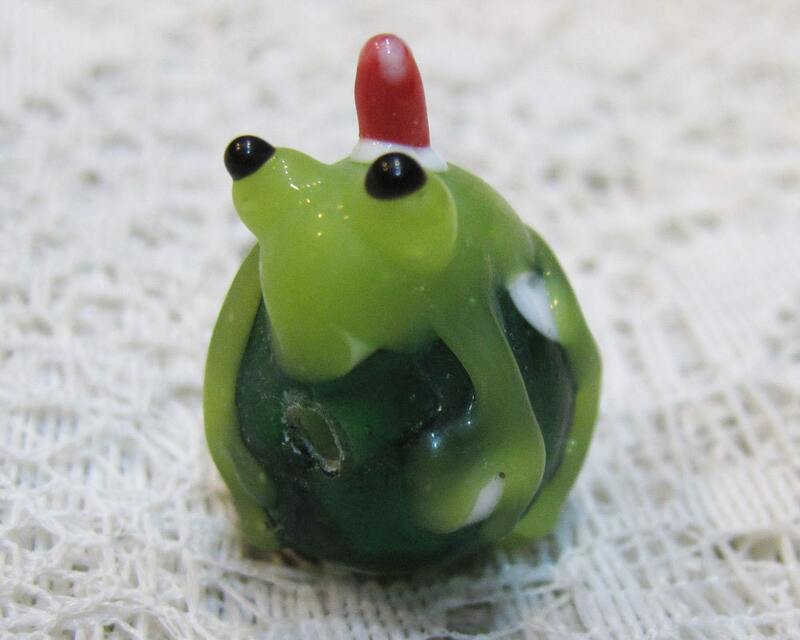 Adorable Santa frog lampwork glass bead would be perfect for the holidays! This little fellow measures 24mm in length and 20mm wide with some variations from bead to bead. Hole runs horizontally through the bead. You will receive 10 frogs! 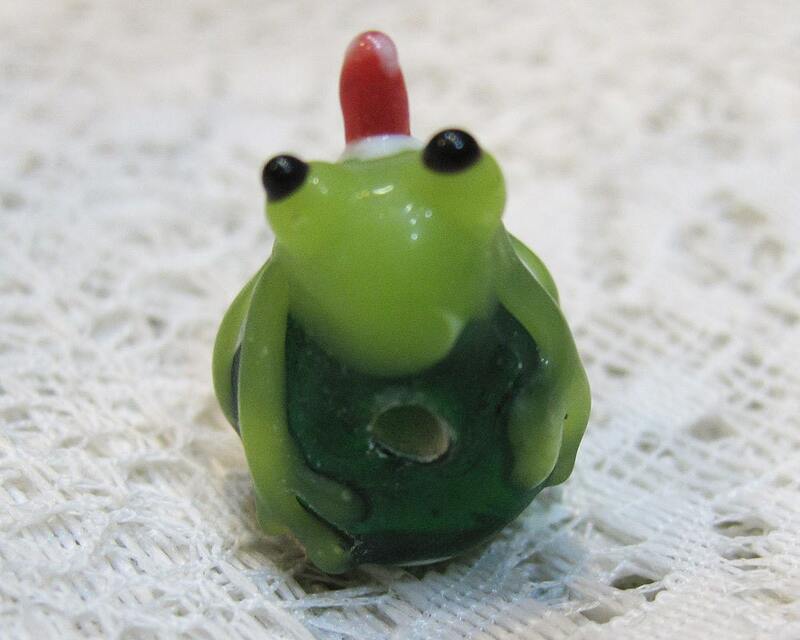 Look for more lamp work glass beads, glass beads of all kinds and more in my Glass and Plastic beads section of the shop - https://www.etsy.com/shop/southpassbeads?section_id=10957246.